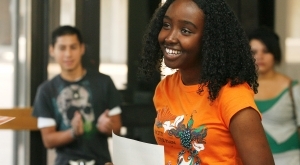 To read more about the programs, please visit the Teen/Pre-College Programs page. Designed as an introduction to the Tyler Bachelor of Arts in Visual Studies, this program integrates a morning academic course and an afternoon studio art workshop. Visual Studies is an exciting interdisciplinary field that combines the creative aspects of studio art with the kind of rigorous study only available at a research institution like Temple University. This integrative approach allows students to develop skills as makers and critical thinkers, and prepares them for future success in college and beyond. 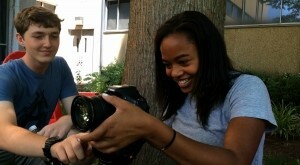 Students will have the opportunity to create inspiring artwork, experience Temple’s vibrant campus, receive college admissions support and insight into careers, participate in fun weekend activities and field trips to Philadelphia’s renowned arts and culture institutions, stay in a campus residence hall, and earn up to 3 college credits! 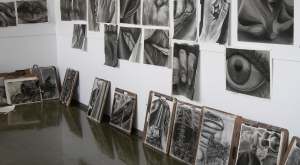 Are you planning on applying to an art school? Designed as intensive portfolio preparation classes, these workshops are open to 11th and 12th-grade students with previous high school drawing experience. Learning about the qualities of a well-rounded college admission portfolio, students leave class with finished pieces that will distinguish them as exceptional artists. Classes meet for 6 hours, allowing students the luxury of uninterrupted studio time during which they can completely immerse themselves in their work. Students can choose to attend Summer Boot Camps, held Monday through Friday for two weeks, or Weekend Boot Camps, held for three consecutive Saturdays during the school year. Please view specific Boot Camp pages below for information regarding tuition, dates, times, registration and any material requirements. Art Start and DigiStart are both unique full scholarship summer programs developed for talented students enrolled in Philadelphia High Schools, who would not otherwise have the occasion to study visual art on an extra-curricular basis. Tyler School of Art is proud to provide this opportunity for students to advance their creative abilities. Open to students entering 11th and 12th grades, Tyler Art Start and DigiStart run for 4 weeks each summer. Motivated students interested in exploring their artistic talents are nominated by teachers and counselors for admission into one of the two programs. This nomination is an honor, granting attendees the opportunity to participate in studio classes held in the new, state of the art Tyler facilities on Temple University’s Main Campus. 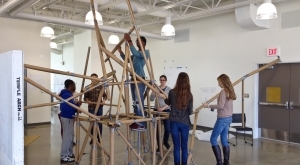 Created as an introduction to the field of architecture, the Tyler Architecture Institute welcomes 10th, 11th, and 12th-grade students. Philadelphia has a robust architectural history and provides an ideal setting. The mission of an architect, and architecture as a whole should be to create aesthetically enriching built environments for the needs of human beings, to revitalize the urban fabric and to serve as stewards of the global environment. Please view specific class page below for information regarding tuition, dates, times, registration and any supply requirements. Pre-College students experience the exhilaration and prestige of being among other artists on a college campus of a major University. 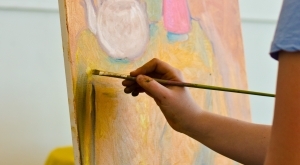 Experienced instructors are practicing professional artists with a wealth of knowledge. High school students entering grades 10 through 12 are invited to attend. A series of two-week workshops, students can choose to attend 1, 2 or 3 sessions! Students participate in two classes each session, choosing an AM and a PM class from the many Drawing, Painting, Craft, and Digital offerings. Beginning artists, as well as those students who have had multiple years of high school art, will find classes to fit their needs. For students planning to apply to an art school, this is an opportunity to acquire work in a variety of media that is suitable for use in a college portfolio. Students are encouraged to express their individual creativity, and upon completing their classes, walk away with a number of finished art pieces. If you are hooked on the excitement of creating art, many of these quick intense workshops are a fun way to focus on exploring new media or progress to another level. Weekend Workshop students have the time to completely immerse themselves in their work in our state-of-the-art studios. Each workshop is designed to be hands-on, incorporating studio time, demonstration, and individual instruction. 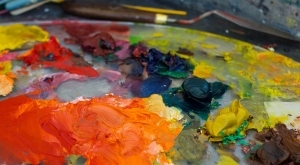 Instructors are experienced teachers and professional practicing artists. Beginning, intermediate and advanced level high school and adult learners will find a wide range of workshops designed to fit a busy schedule! Please view specific class pages below for information regarding tuition, dates, times, registration and any supply requirements. TYLER0042 - Fiber Art: Dye, Weave, Sew!